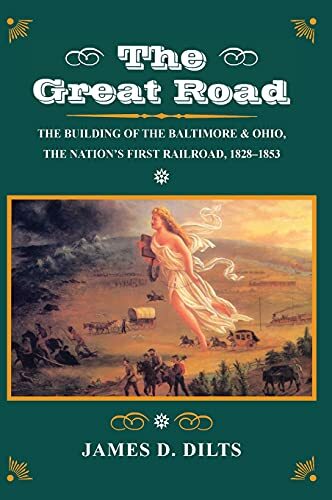 This masterful, richly illustrated account of the planning and building of the most important and influential early American railroad, the Baltimore and Ohio, is an essential contribution not only to railyway history but also to the broader history of the development of the United States in the first half of the nineteenth century. There was no precedent for the building of the B&O. The construction of the 380-mile line from Baltimore to the Ohio River over a period of 25 years is an epic story of astute planning and innovative engineering that overcame many formidable obstacles, notably the arduous traversing of 200 miles of mountain wilderness. Its successful inauguration provided a spur to internal improvements throughout the United States. Railroads, and certainly the B&O, epitomized progress, not only in the development and extension of the Western frontier but in the revelation that personal travel and the delivery of freight could be dramatically faster, better, and cheaper. The railroad deeply affected the development of Baltimore's port, industry, and urban geography, as well as its financial, educational, and cultural institutions. George Peabody, Enoch Pratt, William Walters, and Johns Hopkins―the city's most prominent philanthropists―were involved with the B&O, some intimately; the Johns Hopkins University was founded on B&O Railroad stock. The B&O also contributed by aiding in the growth of the state's iron and coal industries. The B&O came to be called "the Railroad University of the United States." Its civil engineers formed the core of the railroad engineering profession in America. The company's annual reports during the building of the line were, according to the American Railroad Journal in 1835, "a textbook and their road and workshops have been as a lecture room to thousands." Throughout, the author highlights the many types of men who were involved in that history: promoters, financiers, politicians, lawyers, newspaper editors, fixers and bagmen, civil engineers, inventors and mechanics, foremen, contractors, and feuding Irish laborers, who together built the first long-distance, general-purpose railroad in the United States. The book is illustrated with 80 photographs and drawings and 5 maps.